Union External Affairs Minister Sushma Swaraj told Parliament on Tuesday, 20 March, that the government found DNA proof regarding the death of 39 Indian workers who went missing in June 2014 from Mosul, Iraq, after ISIS took over the city. Her announcement ended years-long speculation, mostly from the government’s part, on the fate of the missing. DNA matches from bodies exhumed out of mass graves surrounding the infamous Badush prison, on the outskirts of Mosul along the banks of river Tigris, confirmed the deaths of the missing Indians. 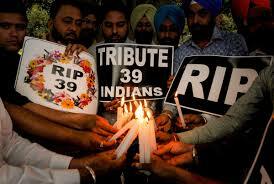 According to a detailed account by the lone survivor from the group, Harjit Masih, the remaining men were killed, execution style, on 15 June 2014, four days after their abduction. 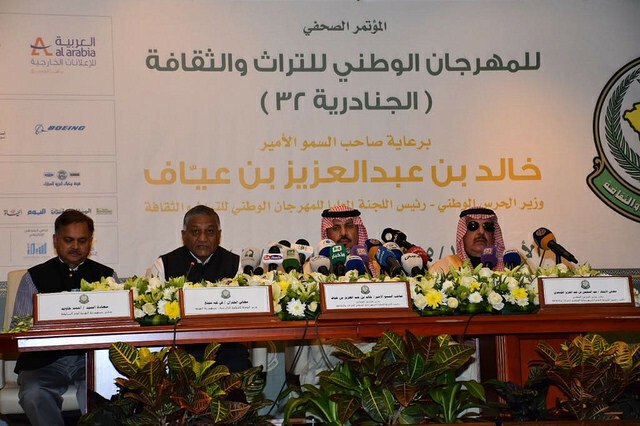 Days after Prime Minister Narendra Modi showcased the India growth story at the gathering of the global elite in Davos, India’s External Affairs Minister Sushma Swaraj heads to Saudi Arabia to inaugurate the popular festival of Janadriyah, which will put the spotlight on the country’s soft power and economic prowess. The February 6-8 visit by Swaraj will mark the first high-level visit after Mr Modi’s visit to the Gulf kingdom in 2016 and comes ahead of his three-nation tour of Palestine, the UAE and Oman. Organized annually since 1985 by the National Guard, Janadriyah is a cultural and heritage festival that draws more than one million visitors every year. 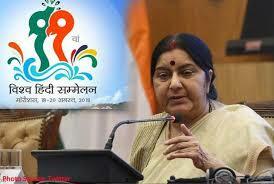 This year India is the “Guest of Honour country” at the 18-day festival. India’s strategy of isolating Pakistan in the aftermath of the Uri terror attack has struck a powerful chord in the US. A day after US Secretary of State John Kerry chastised Pakistan’s Prime Minister Nawaz Sharif and asked him to prevent terrorists from using his country as safe havens, two American legislators introduced a legislation in the US Congress to designate Pakistan as a state sponsor of terrorism. The bill, H.R 6069 or the Pakistan State Sponsor of Terrorism Designation Act, calls upon the US administration to make a formal assessment on the matter within four months of its passage. 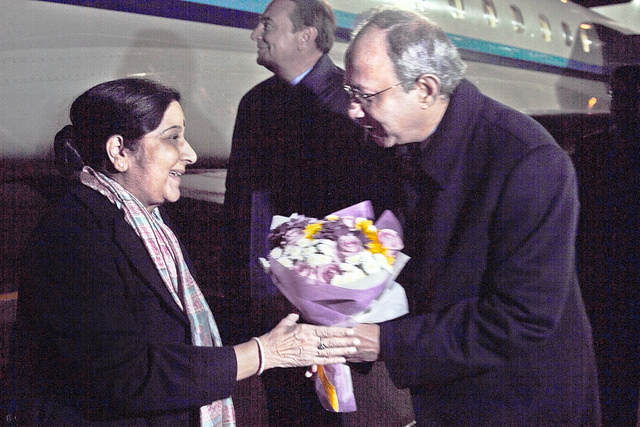 The move to brand Pakistan as a terrorist state is seen as a triumph of Indian diplomacy as External Affairs Minister Sushma Swaraj heads to the US on a concerted drive to corner Pakistan on account of its alleged complicity in the Uri terror attack in north Kashmir, which killed 18 Indian soldiers. The bill is seen as a huge setback for Mr Sharif as he gears up to make a speech in the UNGA, in which he is expected to highlight India’s alleged human rights abuses in Jammu and Kashmir. The US’ admonition of Pakistan underscores Washington’s growing wariness with Islamabad’s systematic duplicity on terrorism, and will bolster India’s drive to isolate Pakistan in the international community. Marking a meeting of minds on a host of pressing issues, India and the US have decided to step their counter-terror cooperation, with Washington strongly backing India by renewing call to Pakistan to bring the perpetrators of the Mumbai and Pathankot terror attacks to justice. 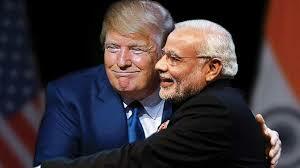 The second Strategic and Commercial Dialogue between India and the US ended on a high note, with both sides upbeat about the blossoming of bilateral relations in all spheres and underlining their resolve to take this strategic partnership to new heights. 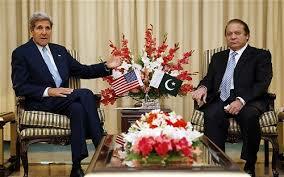 The US’ robust backing on India’s concerns over Pakistan-sponsored terrorism was music to New Delhi’s ears. “The US supports all efforts to brining the perpetrators of the Mumbai and Pathankot attacks to justice… terror is terror no matter where it comes from,” said US Secretary of State John Kerry in New Delhi on August 30, after wide-ranging talks with India’s External Affairs Minister Sushma Swaraj. The two strategic partners also reiterated their resolve to intensify counter-terror cooperation. 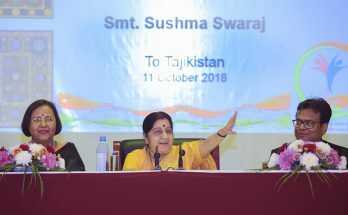 They will intensify intelligence sharing and specifically “work for the early operationalization of an agreement on exchanging information on known or suspected terrorists,” said Mrs Swaraj. 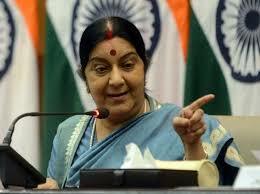 The two sides also signed a framework agreement on combating cyber crimes.